GOOD Music is a company created by hip hop and pop icon Kanye West. When describing the company, West does not like people calling it a record label. "It's basically a family and like a production company," West said in an interview about the company. It handles the distribution deals for its artists, then requires that artist release their music with the GOOD Music brand. 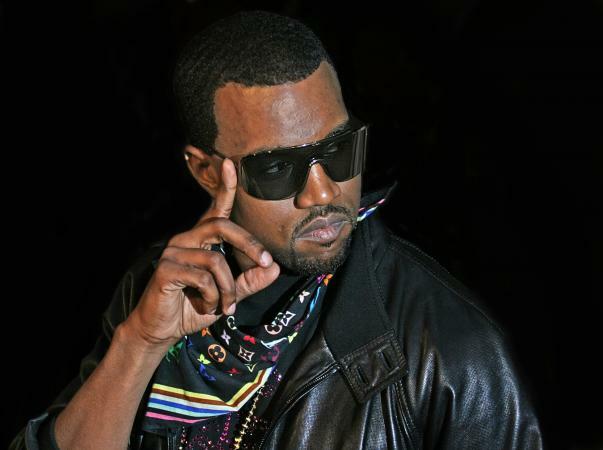 GOOD comes from the acronym created by Kanye West that means "Getting Out Our Dreams." West, in partnership with Sony/BMG in late 2004, founded GOOD Music to become an influential force in the music industry. This move came after the massive success of his album The College Dropout. One of the company's first albums, Get Lifted by John Legend, was nominated for GRAMMY awards in the 2006 GRAMMYS, and GOOD Music has produced award-winning artists ever since. In 2001, John Legend began working with Kanye West, playing shows together and singing backup vocals on the hooks in West's songs, and this led to John Legend's signing to GOOD Music in 2004. Legend, whose real name is John Stephens, released his debut album Get Lifted near the end of 2004, and it went on to critical acclaim and commercial success. The story behind John Legend's stage name works as a good descriptor of his musical style. Someone once described John's music as something that sounded like the old-school music legends. John Legend became a nickname that stuck. His music, though rooted firmly in today's soul and R&B styles, really does have a timeless old-school soul music quality that carries broad appeal. Legend's appeal has only expanded since 2004, and every album since has earned critical acclaim and high sales. His 2016 album Darkness and Light, for example, debuted at no. 14 on the Billboard' 200. Common is the stage name chosen by Lonnie Rashid Lynn, Jr., though he was formerly known as Common Sense. Unlike many of the newer faces on GOOD Music, Common is a veteran of the music industry who began his career in the early '90s. He is known for his trailblazing underground rap-infused with poetry that would become an influential force in the new directions of hip hop that would emerge with the new millennium. Common began his GOOD Music affiliation in 2004 when he began to collaborate with Kanye West. Common's 2007 release Finding Forever included the song Southside featuring Kanye West. The album snagged Common (and the GOOD Music brand) a GRAMMY for Best Rap Performance by a Duo Group. Besides creating music, Common is also know for his poetry, film production, and acting. Big Sean is a hip hop artist signed to GOOD Music in 2007. He became known for his freestyle rhyming skills in Detroit, Michigan where he regularly freestyle rapped at a radio station. When Kanye West came to the station for an interview in 2005, Big Sean went to the station and asked to demonstrate his freestyle ability. West gave Big Sean sixteen bars (which is only about 30 to 40 seconds depending on tempo), and West was impressed. Big Sean has since released several successful studio albums, including his first number one album on US Billboard charts, Dark Sky Paradise, in 2015. In 2017, his album I Decided debuted at number one. UK-based pop artist Mr. Hudson signed with GOOD Music in 2008, and his debut album Strait No Chaser received mostly good reviews. Mr. Hudson brings a British-influenced crooning ambience and melancholy to the production imagination of Kanye West, an often surreal and colorful mix of British melancholy and GOOD Music hip hop. Kanye West's signing of Mr. Hudson demonstrates West's diverse musical appetite and his willingness to cross into other genres to find new sounds. Mr. Hudson, however, is not the only genre-blending project that West has pursued. Indie folk group Bon Iver, fronted by singer Justin Vernon, did not officially sign with GOOD Music, but his collaboration with Kanye West on My Beautiful Dark Twisted Fantasy (a major GOOD Music release and one of West's most acclaimed albums) is worth mentioning. Vernon helped produce and add vocals to the album. Since then, West has called Justin Vernon his "favorite living artist," and it demonstrates GOOD Music's versatility and diversity in musical genres. Bon Iver (a French phrase pronounced bone ee-VARE) broke into the spotlight of the music world with his 2007 debut album For Emma, Forever Ago, which he recorded alone in a cabin in Wisconsin after a tumultuous period of his life that included a breakup and a devastating illness. Bon Iver has continued to release critically acclaimed albums such as Bon Iver, Bon Iver and 22, A Million. GOOD Music is only 13 years old, which is a short time in the music industry. Yet it has already racked up enough awards and big name artists to make it a legend. It is a perfect example of yet another hip hop artist (Kanye West) transitioning into the role of successful music mogul.